robotics-university.com | Hello friends! How about today? Are you in good condition? I hope so. Today I will introduce about Raspberry Pi. In order we can use Raspberry properly, I think it is a must that we have to know about the Raspberry Pi hardware specifications. 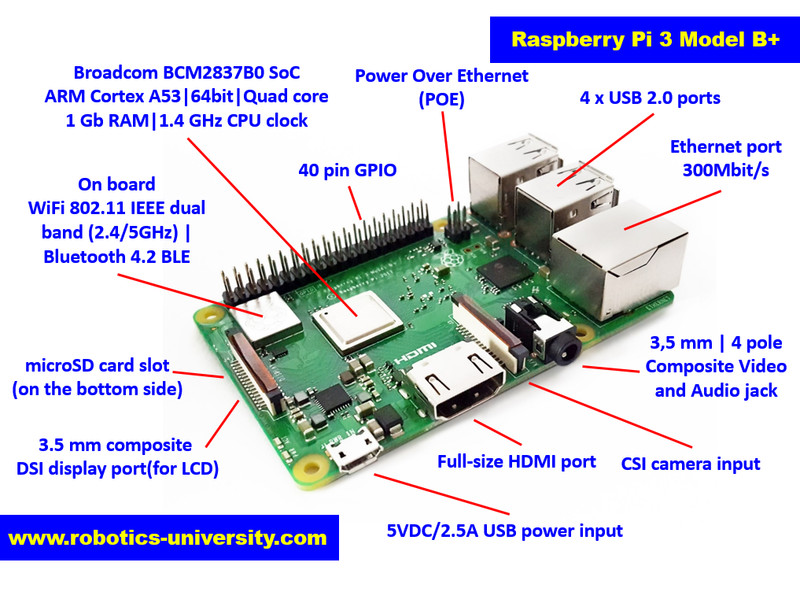 On this article, I will introduce Raspberry Pi 3 model B+. From the figure 1, we can see that Raspberry Pi has hardware specifications like a standard computer. It has processor and RAM for its operation process. It has memory data (microSD) for operating systems files loading and user data storage. The microSD card has function like a hard-disk on standard computer. 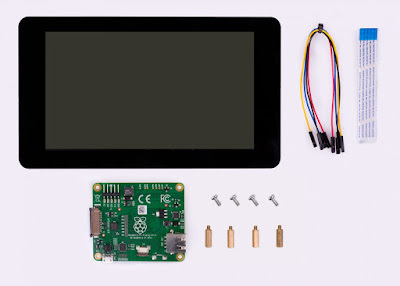 For graphical display, it has HDMI and DSI display port. For audio necessity, it has stereo audio jack. For wire-connectivity with external device, it equipped with Ethernet (LAN) and USB 2.0 port. Then for wireless-connectivity with external device, it equipped with Wi-Fi and Bluetooth (BLE). 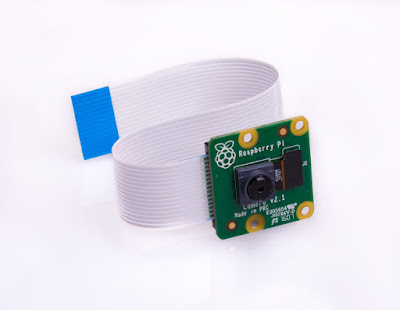 If we want to equip Raspberry with a camera, there is a CSI camera input available. For power supply, Raspberry Pi is low power computer. There is just need 5 volt DC (2.5 A) to make it work well. · Processor - SoC type Broadcom BCM2837B0 (ARMv8-A, 32/64-bit), Quadcore. · microSD port for loading your operating system and storing data, up to 64 GB. · Processor speed has increased from 1.2 Ghz on Pi 3 model B to 1.4 Ghz on Pi model B+, with improved thermal management. There is heat-sink embed on the Broadcom processor chip. · Faster onboard Ethernet, up to 300mbps. 0 Comment For "Introducing Raspberry Pi 3 Model B+"